Pop! 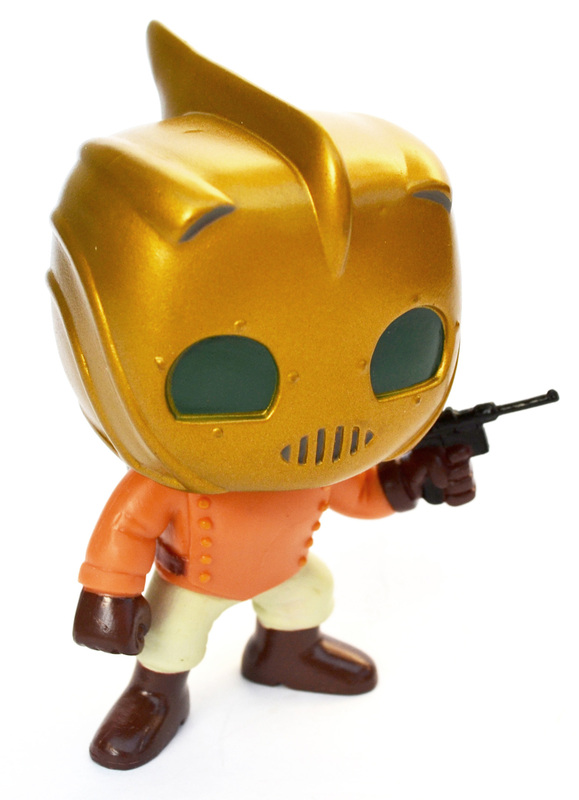 Rocketeer | 'TAIN'T THE MEAT… IT'S THE HUMANITY! Number 58 in Funko’s Pop! 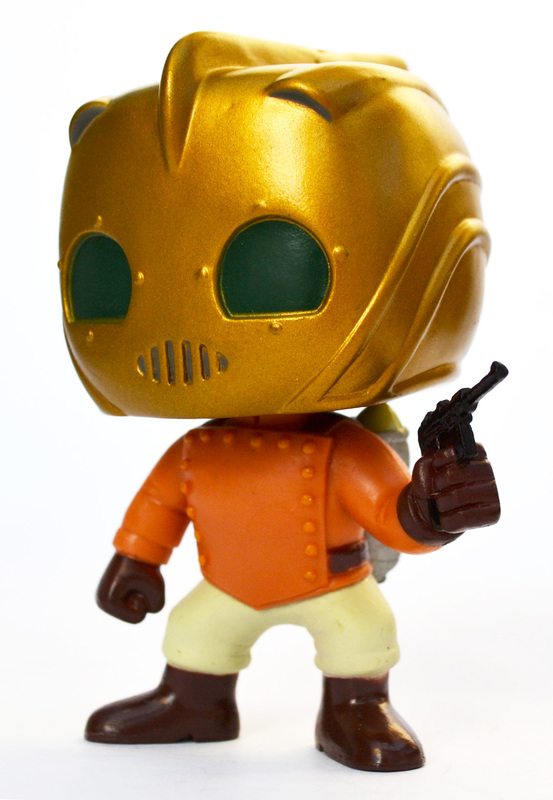 range of vinyl toys features the star of the movie The Rocketeer. Released by Disney in 1991 The Rocketeer was directed by Joe Johnston (Jurassic Park III, Captain America: The First Avenger) and starred Billy Campbell as the 1930’s pulp hero who uses a rocket pack to fight Nazi spies in the early days of the Second World War. The movie, based on Dave Stevens’ comic book from the early 1980’s, was an affectionate action-packed, fun homage to Saturday morning serials. Although the film failed when originally released The Rocketeer has gone on to garner a large cult following, finally seeing a Blu-ray release in 2011. Hardly surprising then that Funko would include the character in it’s ever-growing Pop! range of vinyl toys. Modelled using the same chibi style that Funko uses for all their Pop! figures, Rocketeer stands at 4.5 inches in height and has the same satisfyingly chunky feel shared by the rest of the range. The moulding and paintwork is very well done, especially on the character’s distinctive art deco helmet. 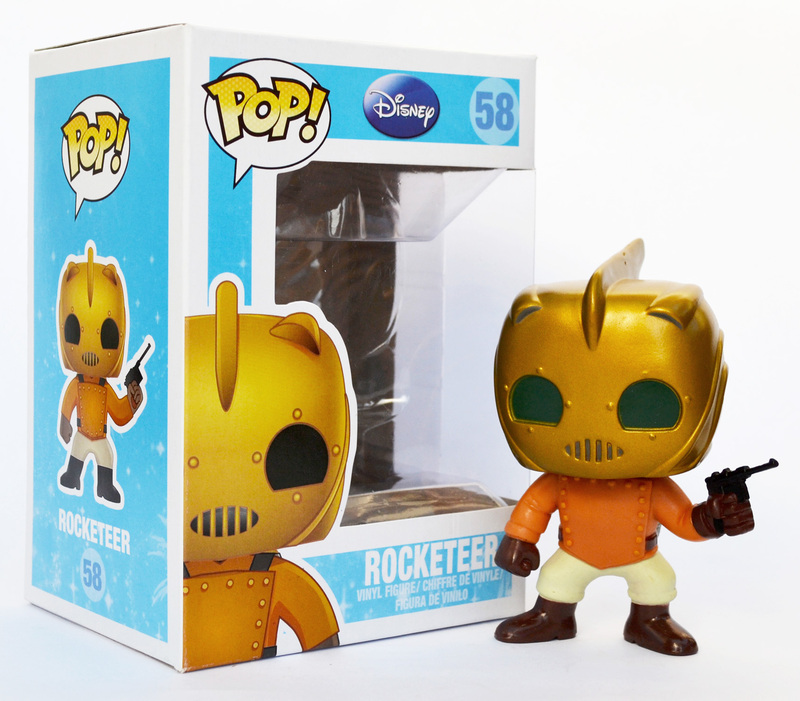 And he wouldn’t be the Rocketeer without his trusty rocket pack and Funko have done a good job reproducing it. Pop! 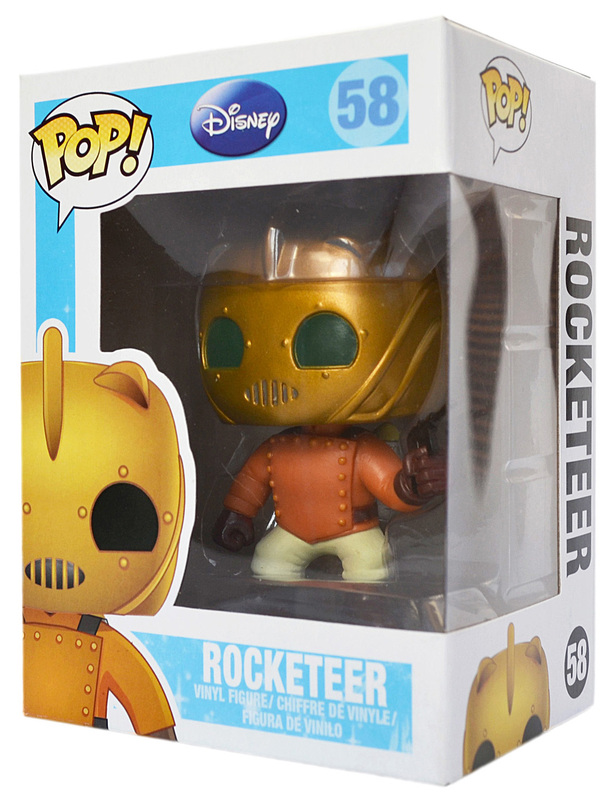 Rocketeer sells for around £10 and is a welcome addition to Funko’s ever expanding range of vinyl toys. So until the proposed remake of the original film appears fans can make do with this little fella instead.